Вартість: 9348 грн. + 979 грн. (доставка) + розтаможка 3174 грн. LENOVO IdeaPad Laptop - Intel Celeron N4000 2.60GHz Turbo DualCore Processor - 4GB Ram - 1TB Hard Drive - 15.6" LED-backlit Display - SuperMulti DVD+RW Drive - HD Webcam - Card Reader - Wireless - USB 3.0 - HDMI - Bluetooth 4.1 - Dolby Audio - Windows 10 - Available in COREL RED, SILVER, PLUM PURPLE or ONYX BLACK Finish ~ LENOVO Sealed Box! 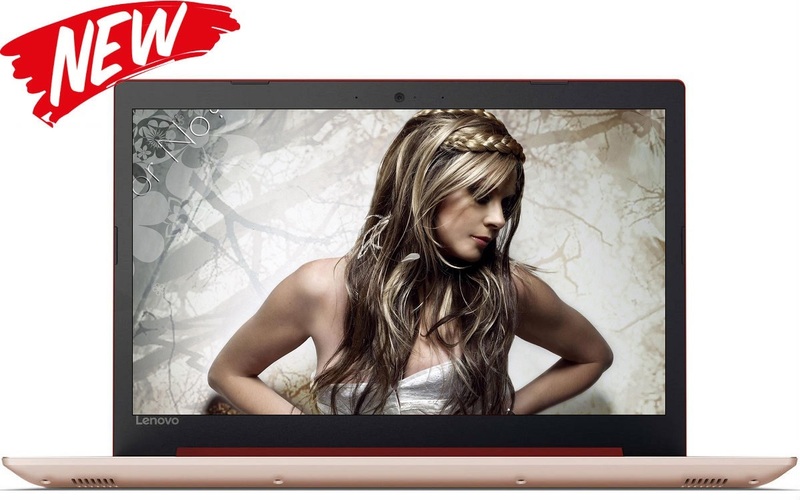 Beautiful Newly Redesigned IdeaPad 330 Laptop From Lenovo at a Great Price! Everything about the IdeaPad 330 is designed to simplify your life. It will handle any task with ease, thanks to powerful processing and integrated Intel HD graphics. Because it's preloaded with Windows 10 Home, you'll have the personal assistance of Cortana, designed to help open apps and answer your questions — whether typed or spoken. From the new streamlined design to a cleaner desktop interface, you'll enjoy the simplicity the IdeaPad 330 offers. With the latest in Intel processors along with plenty of DDR4 memory, you’ll get lightning-fast responsiveness and reliable performance. Run multiple programs simultaneously, and transition seamlessly between web tabs — you'll be able to multitask with ease. We redesigned the IdeaPad 330 with a sleek unibody chassis and added a uniquely playful tone-on-tone Plum Purple color. Better yet, the IdeaPad 320 is designed to keep up with you. We treated it with a special protective finish to guard against wear and tear, and added rubber detailing on the bottom cover to maximize ventilation and extend product life. The IdeaPad 330 offers High Definition resolution on a 15" display, with anti-glare technology. You'll enjoy true visual clarity when you watch movies, browse the web, and more. The IdeaPad 330 brings you Windows 10 Home, featuring a host of exciting new features. Want to find a local restaurant, or need gift suggestions? Ask Cortana — your very own digital personal assistant. Cortana works with more than a thousand apps and services to ensure you'll always have the answers you need. Best of all, it works across all your Windows 10 devices to keep you organized. We redesigned the touchpad on the IdeaPad 330, for a better user experience with multifinger gestures. Touch, click and zoom — you'll feel the difference. Featuring Dolby Audio-optimized speakers, the IdeaPad 330 delivers crystal-clear audio with minimal distortion at any volume. Stream your favorite playlist or video chat with family — you'll hear every detail. For a full written disclosure of LENOVO warranty on this product or any other questions regarding their warranty.